What causes turbulence, things that go bump in the flight? What causes turbulence you wonder as you sit there with your seat-belt hanked in as tight as a drum. Your white-knuckled hands gripping the armrests as if your life depended on it. There is no doubt that extreme in-flight air turbulence can be a very frightening experience. A large airliner shaking, dropping and rising can feel very dramatic, especially when our only view of the world is the inside of the cabin with no reference to the outside world in most cases. 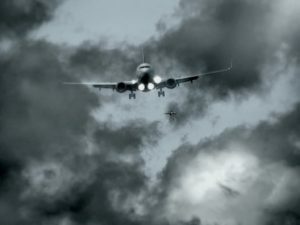 Understanding what causes turbulence may go some way to alleviating the fear of it when it happens. Most of us, me included, always hope for a calm turbulence-free flight every time we board. In most cases, we are rewarded with just that, a calm flight with a few minor bumps along the way. But why does it happen? What causes turbulence? 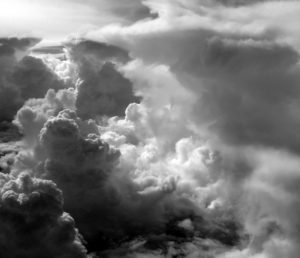 Thermal activity resulting in towering cumulo-nimbus clouds are areas of high likelihood of turbulence. heat of the sun and the spinning of the Earth ensure that the air is constantly in motion. It is always rushing from one place to the next, never still. You experience this yourself in the winds you feel. If you are on the coast you will be aware of sea breezes in the afternoon caused by the sun heating the land. The warmed air over the land rises and cooler air from over the water rushes in to take its place, creating that sea breeze. Air movement is affected by large global influences, such as ocean or continental temperatures as well as local influences such as mountain ranges. Consider your aircraft moves through the air much like a boat on the water. It is subject to waves and eddies in the same way and moves with them, up and down, side to side, etc.. This is what we experience in the aircraft cabin. There are 4 basic types of air turbulence. In most cases these are predictable and pilots are aware of the situation before they commence the flight. Obviously when turbulence is known to exist, all possible will be done to avoid or at least minimise the exposure of the aircraft and passengers to the effects. This is not always possible. Let’s have a look at the different types. What causes turbulence? As the day heats up, warm moist air rises and creates unstable air as it mixes with cooler drier air above. This creates up and down draughts that can be quite violent. As we mentioned earlier, the heat of the sun is a large cause for air movement in the atmosphere. Air rises as it starts to warm and pushes its way through cooler air in the upper atmosphere. This can lead to unstable moist air mixing with dry cooler air and creating up and down draughts. These are the kind of conditions experienced particularly in warmer climates where the heating can be quite extreme. In most equatorial regions where humidity is high on the surface, the thermal effect is quite evident by the formation of woolly clouds which may start towering into the upper atmosphere. This is where you can expect thunderstorms to start forming. When you experience the aircraft dropping or rising, it is because it is flying through an air stream that is going up or down. They are sometimes called up draughts and down draughts. It may feel like the aircraft has stopped flying and is simply dropping out of the sky. In reality, the aircraft is still flying through the air, as it was in the still air, but that packet of air itself is moving. Of course, if the change from still to moving air is quick enough, the effects can be quite startling as gravity takes a while to catch up, if indeed it can. For this reason, you are always advised to keep your seat belt loosely fastened during flight. The aircraft may fly into a down-draught which can cause it to descend faster than gravity can pull you with it. In extreme cases food trolleys and cabin crew have been thrown against the ceiling during undetected turbulence. What causes turbulence? Mountains have a significant effect on the air passing over them. Some of these effects can persist a long way down wind of the mountain itself. large scale or man-made objects on a smaller scale. All of these features can contribute to creating varying levels of air turbulence. If you have ever been to the beach or even a river and watched the water pass over and around rocks, you will have a picture of how air also behaves around obstructions. The water gets all confused and turbulent at it meets and passes the obstacle. It can then take quite a bit of distance before the water stabilises back to a smooth flow again. At high altitude, there is little effect, but sooner or later an aircraft has to descend or take off and possibly come into the affected area of ground effect turbulence. 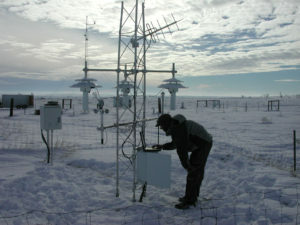 Some parts of the world are more susceptible to ground effect than others. For example, airfields located near mountain ranges, particular if they are downwind of those mountains. The air having passed over the mountain ranges swirls and eddies as it rolls down the downwind or leeward side. Like our rock in the stream of water, the air may be disturbed for tens of kilometres or more before it reverts to a steady and stable stream of air. Another feature of ground effect turbulence is the up draught. Let’s look at our mountain range again. As the wind or packet of air contacts the mountains, it suddenly has nowhere to go. The air behind it is pushing it against the mountains and it finds the only way to go is up. This air can be pushed upwards at high force as the pressure of the air on contact with the mountains increases because the air behind keeps pushing it. This means the upward draught can go much higher than the mountains themselves which can result in something that feels like the aircraft has been punched from below. A combination of thermal and ground effect can also produce significant turbulence. The way the sun heats different types of land can produce instability. Even over flat land with no hills nearby, the sun can heat fields that have been ploughed quite differently from those that have green crops growing on them. These fields in turn will heat the air above them which then begins to rise. Ploughed fields are usually mixed in with wooded areas and fields that have green crops, so you will find different parcels of land will heat air at different rates and some not at all. This creates an unstable air mass with some air rising faster than other cooler air and the swirling and eddying begins as they contact each other. Shear, or wind shear is when two packets of air that border each other are travelling at different speeds and/or directions. This can be horizontally or vertically. Flying within either of the air packets is no problem at all. The transition from one to another, on the other hand, can be uncomfortable and in some cases quite dangerous. First, let us look at shear in a horizontal situation. Let’s say the air at 20,000 feet is travelling east at 20 knots, however, the air at and above 21,000 feet is travelling east at 70 knots. Where the two layers of air meet will be an area of turbulence as the air moving at 20 knots tries to slow the air above down to its speed and the 70 knot air tries to speed the 20 knot air up to its speed. There will be eddies and disturbances between the layers much like our rock in the stream. Tumbling waves of air which will make for a bumpy transition. What causes turbulence? Wind shear at low altitudes is dangerous for aircraft. Many airports have equipment to warn if such conditions exist in the area. Still in our horizontal shear transition, the second factor that has to be watched for is the aircraft’s’ airspeed. Often the difference in speed between the two air packets can be quite high. This can present a problem. An aircraft has parameters around the speed that it needs to be flown. To slow, and the aircraft stalls and ceases to fly. Too fast, and the maximum air-frame speed might be exceeded. This needs to be avoided as bits could start to fall off which means a lot of paperwork and explanations to the next crew who need to fly this aircraft. Aircraft measure their speed through the air, irrespective of what that air is doing. So if the aircraft is doing the correct speed in the first air packet, then it transitions to the second, it will suddenly be flying faster or slower than before until it stabilises to the new air mass. In our example above with the 20 and 70 knot air packet speeds. An aircraft climbing from one to the other at 300 knots in the 20 knot air packet will suddenly be doing 250 knots when it enters the 70 knot packet. The other form of shear, or wind shear is the vertical type. This is when packets of air are rising or falling at significantly different rates. This type of shear is quite dangerous at lower altitudes as aircraft do not have as much separation from the ground to recover. Most airports have equipment in place to detect such events in the immediate locality to ensure safe departures and arrivals. These shears can be caused by thermal activity as described above, including thunderstorms which are often preceded by a micro-blast containing extremely strong and volatile winds. Some have strong enough down-draughts that a jet airliner can’t out-climb them. What causes turbulence? 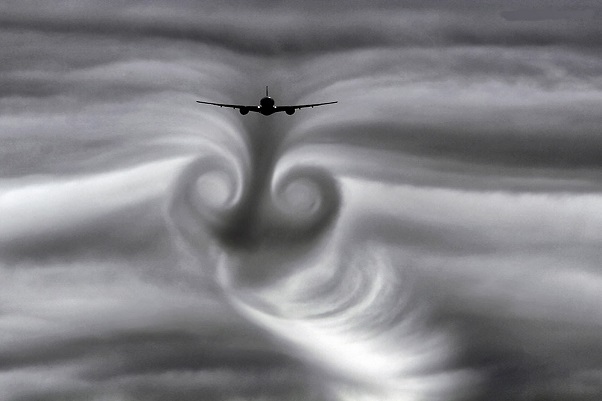 The effects of wake or aerodynamic turbulence are beautifully illustrated here as this aircraft passes through clouds. Aerodynamic or wake turbulence is the disturbed air left behind an airplane. If you have ever looked behind a moving boat or ship, you will be familiar with the wake it leaves behind. Waves travelling outwards the further away it gets. If another boat of equal or lesser size crosses this wake, it can be quite a rough ride for it. So it is with aircraft. As wings move through the air and create lift, they also create drag which causes a wake of disturbed air. For this reason, very strict protocols exit for air traffic controllers when they direct aircraft at or near airports. There is a system of minimum time separation for aircraft taking off and landing which relates to the size of the leading and the following aircraft. For example, a business jet flying directly behind an Airbus A380 would likely have its wings ripped off. Drastic, but you get the picture. What causes turbulence and how is it avoided. Like most things, preparation and avoidance are the best tools when it comes to dealing with turbulence. 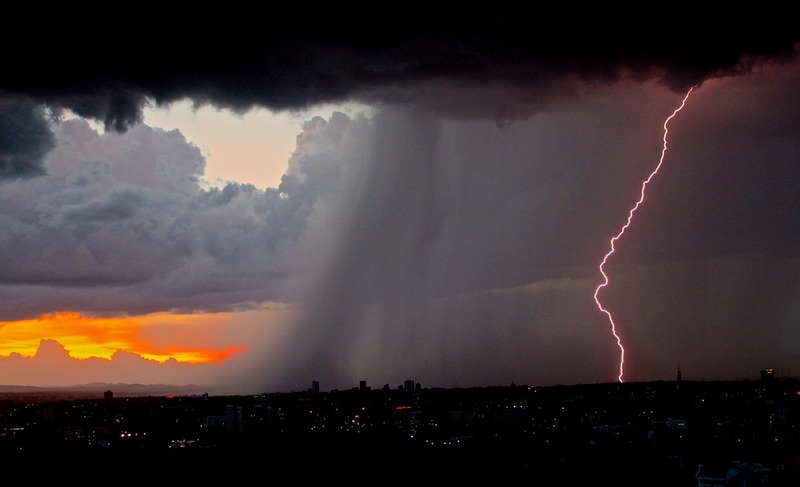 In most cases, weather forecasters are able to predict when and where turbulent conditions may exist. This information is passed on to the pilots and flight planners. They will, where possible, plan flights to avoid these areas, or at least aim for the most moderately affected areas. What causes turbulence? 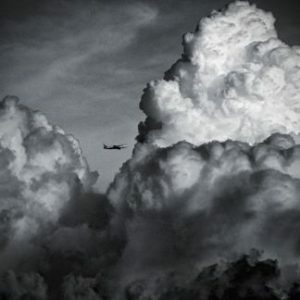 Weather forecasting is a very important factor in ensuring the safest flight plans can be made to avoid turbulence. Communication between pilots and between pilots and air traffic control is a very important way of creating awareness of turbulence areas. Weather forecasting can tell you so much, but sometimes un-forecast conditions can exist. The sharing of that information will enable aircraft that follow behind to either be prepared or perhaps even detour around the affected area. Weather radar is another way to see ahead and be warned of possible adverse weather. Large airliners have a forward facing radar built into the nose of the aircraft. This radome, which is a shortening of the words, radar dome, is a forward facing radar that looks at the weather ahead. 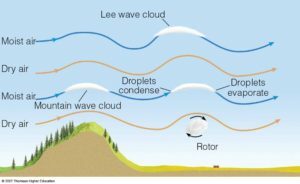 Most weather patterns involve some sort of moist air and from this, the radar can see where there might be adverse weather conditions ahead, particularly thunderstorms. Based on this information the pilot can decide to fly around, under or over a particular weather situation, providing air traffic control requirements allow for this. CAT or Clear Air Turbulence is harder to detect. This is the kind of turbulence that catches everyone unawares. There is no moisture that helps detect its existence and it is a very good reason to keep that seat belt on loosely during the whole flight. Like water, the air is a very fluid environment. In most parts of the world, most of the time, we can traverse this environment without incident. We have to accept, however, that it is still a natural environment that can be unpredictable and also hostile to us. By understanding what conditions can cause turbulence, we are better able to predict when and where it might occur. In addition, we have technology in place that can sense many types of turbulent air and enables us avoid those areas. Not all turbulence can be predicted or sensed before being encountered, so there will always be the risk of experiencing some turbulence. Although it may appear that your aircraft is a fragile contraption, the strength built into it is extraordinary. During the certification testing of a new airliner, one of the tests is to break the aircraft’s’ wings. That involves bending the wings to an insane level until they break. The pass mark is for the wing to be able withstand at least twice as much pressure as the worst imaginable turbulence. Most airliners pass this with a very generous amount of leeway. Understanding what causes turbulence is one of the many things that keeps flying safe. We would love to hear any experiences you might have had with in-flight turbulence. How did it make you feel? Was it dramatic? Feel free to comment below.